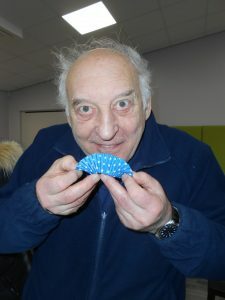 On Friday afternoon Friends hosted a Fairtrade Cafe. 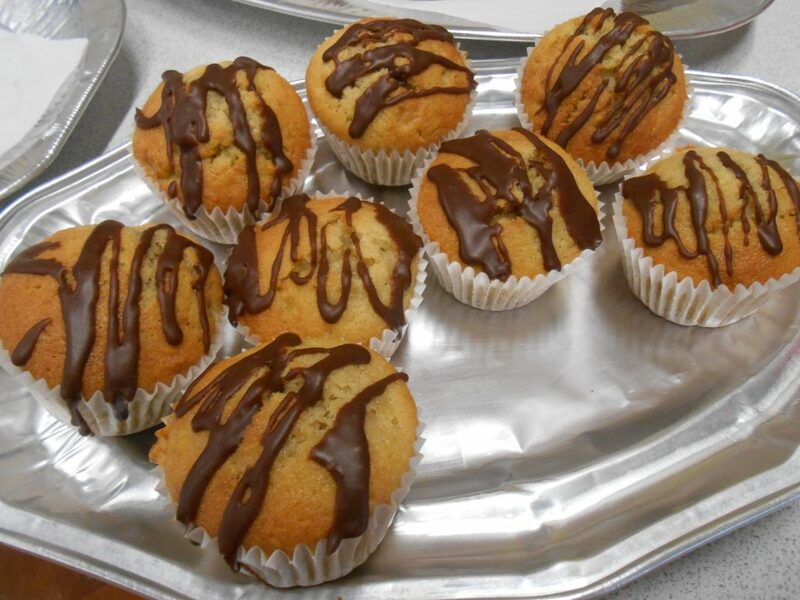 Cakes had been baked by children and by staff. The event was a great success, it was very busy and all the cakes and cookies were sold. 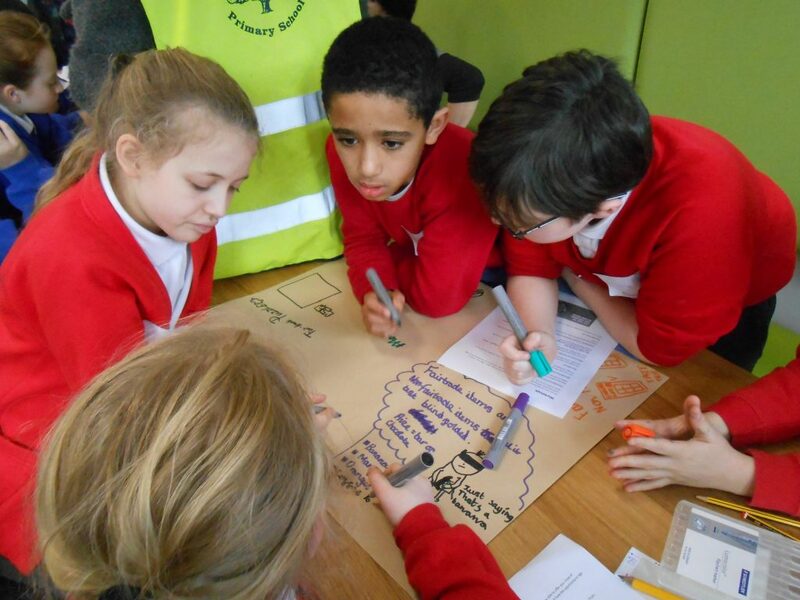 Due to the adverse weather conditions, tomorrow’s celebration at Leeds Civic Hall has been cancelled. 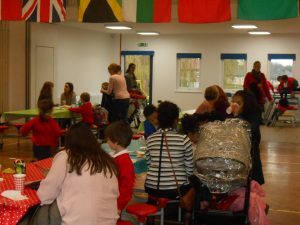 The organisers are planning to re-schedule the event later in the year. 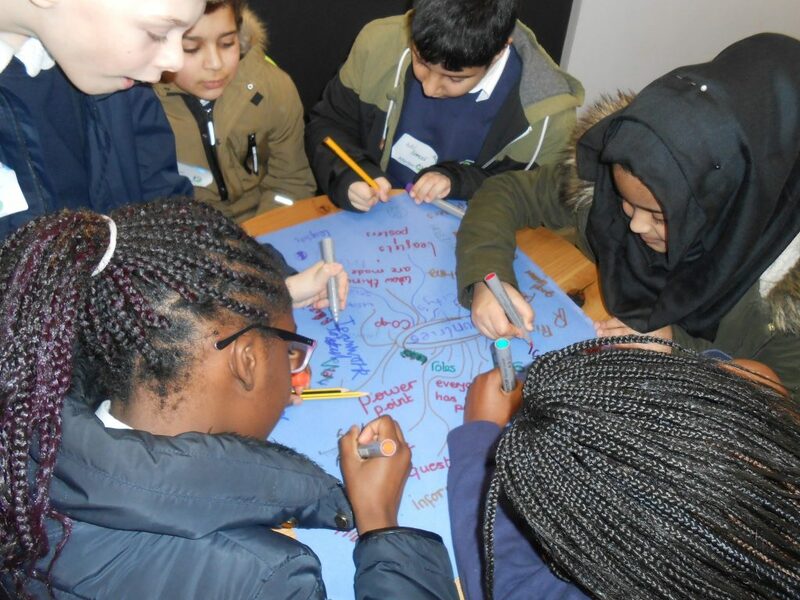 The ambassadors met again this week to ‘tweek’ the format of the workshop that they had designed to run at the celebration event on Friday. 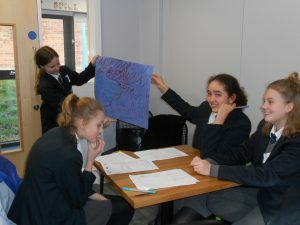 They have been busy preparing with Ben creating food cards, Brooke and Isobel designing and making a poster while the other three trailed it. 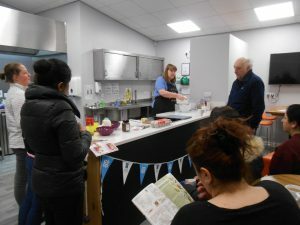 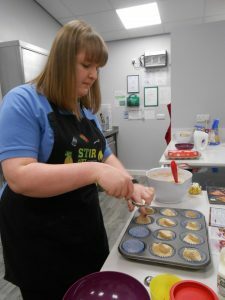 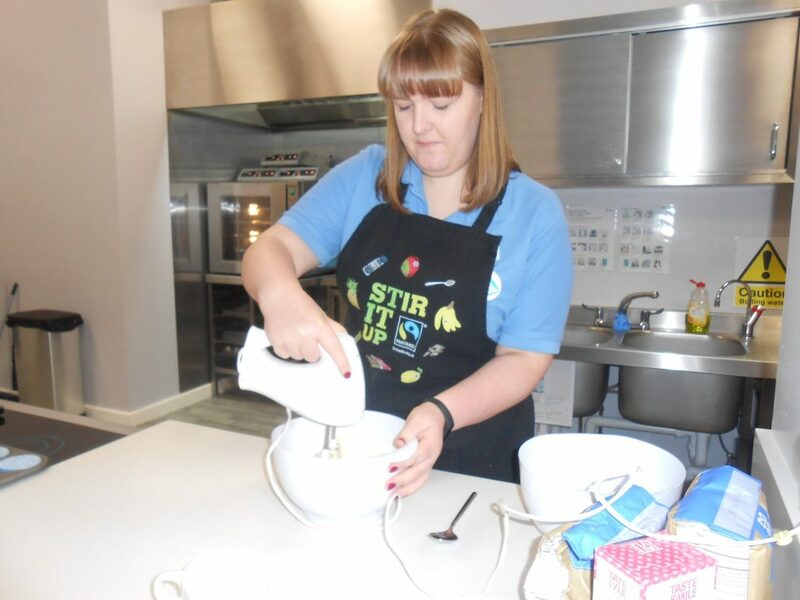 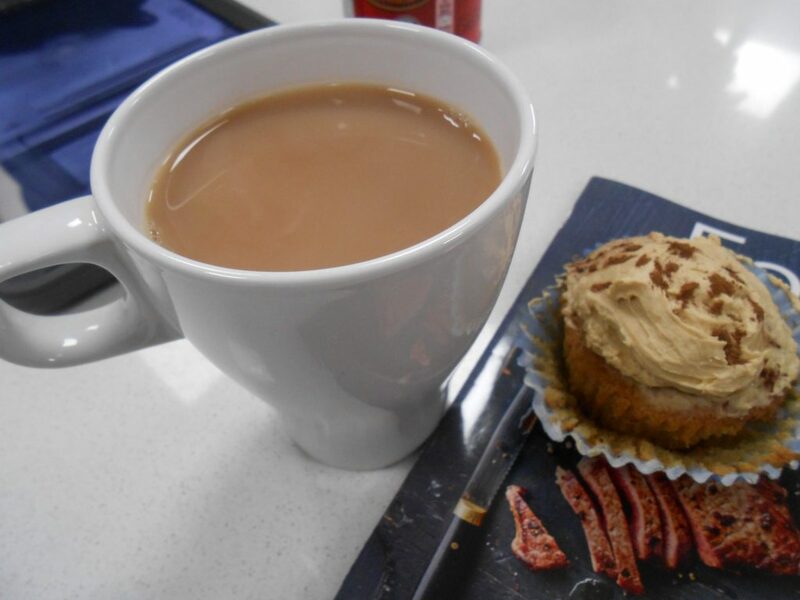 A number of parents braved the cold and the snow this morning to join Lucy from the Co-op who was sharing a recipe for Fairtrade Cappuccino Cupcakes. 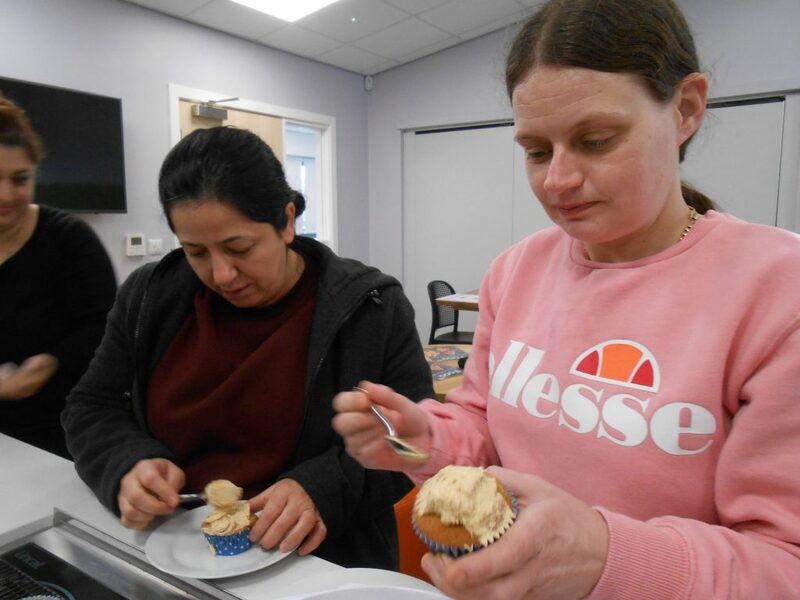 Everyone enjoyed the morning and couldn’t wait to try the cupcakes once they were baked – they were delicious! 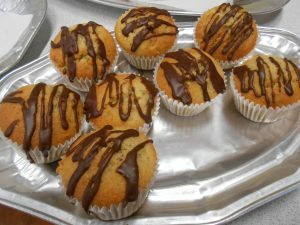 Click on the link below for the recipe. 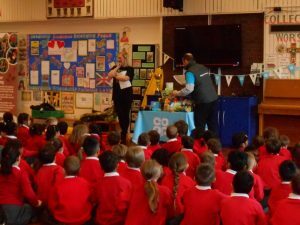 This morning, Nicola and Glen from the Alwoodley branch of the Co-op lead an assembly to ‘kick off’ our Fairtrade Fortnight. Firstly a short film was shown and then they talked about Fairtrade using some props and volunteers to help illustrate an example of a fair price. 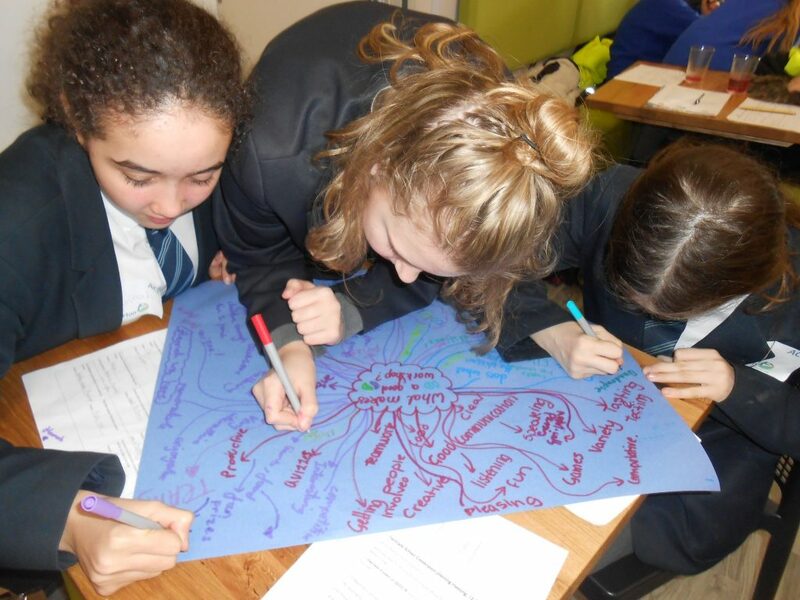 It is not long now and the ambassadors as busy planning some events to take place with the assistance of Mrs Walker and Miss Whiteley. Thursday 8th March: Workshops run by Leeds DEC for children in years 1,2, and 6. 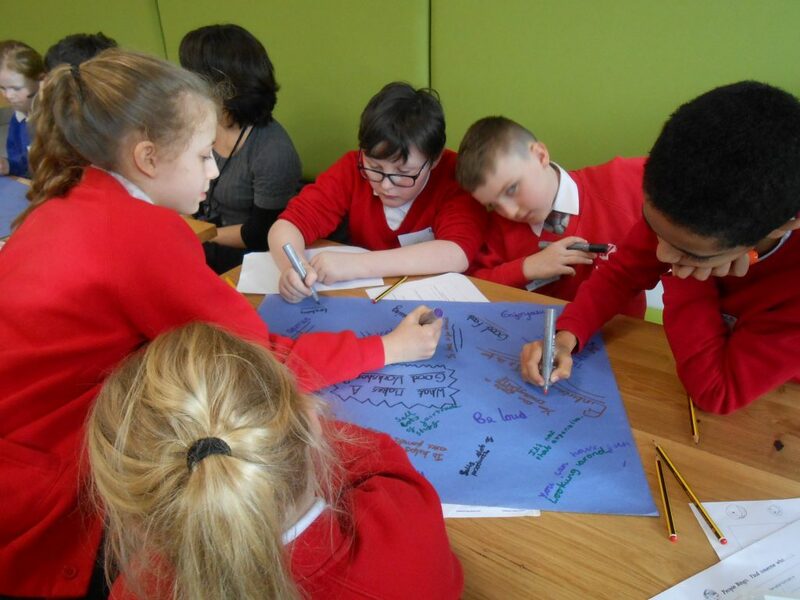 This afternoon Hannah from Leeds DEC and children from Abbey Grange, Ireland Wood Primary and Woodlands Coop Primary met with us (Stella, Kai, Joshua, Isobel and Ben) in the café to talk about this year’s Fairtrade message and to plan workshops that each school would be running at the Fairtrade Celebration at Leeds Civic Hall on 2nd March. 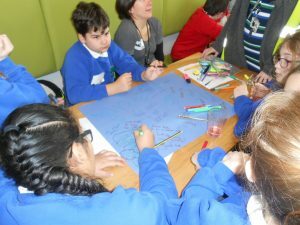 The children came up with lots of great ideas which Mrs Walker and I look forward to being realised at the celebration. 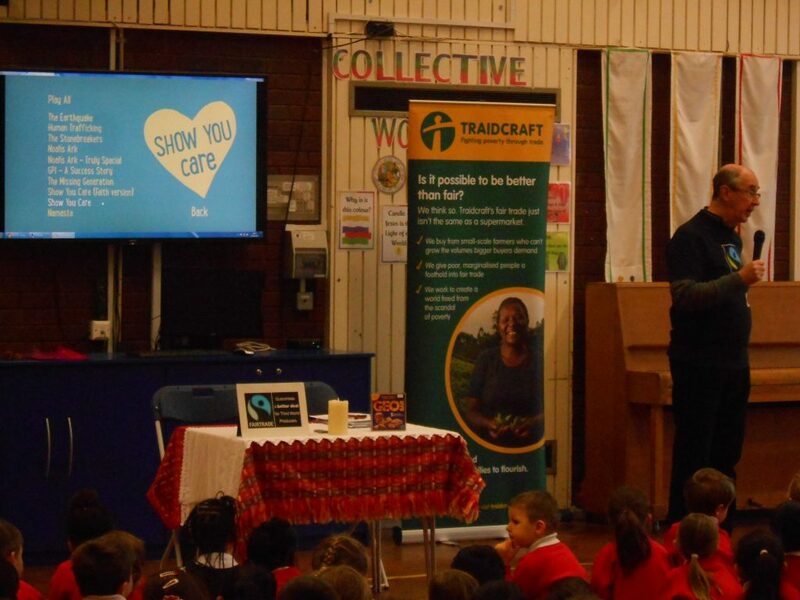 To mark the end of our Fairtrade Fortnight we held a Fairtrade Café. There was a bake off competition with lots of amazing entries all using Fairtrade ingredients. 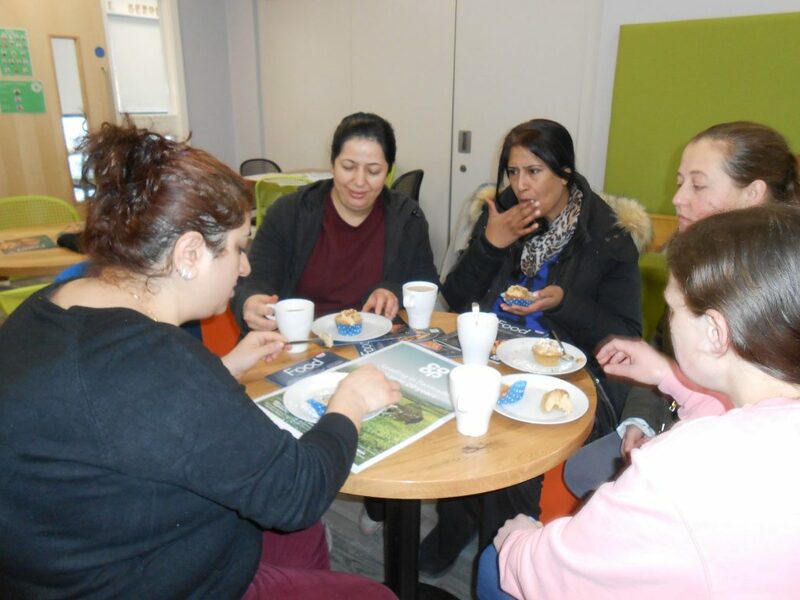 The café was very well attended and everyone enjoyed sampling the cakes on offer. 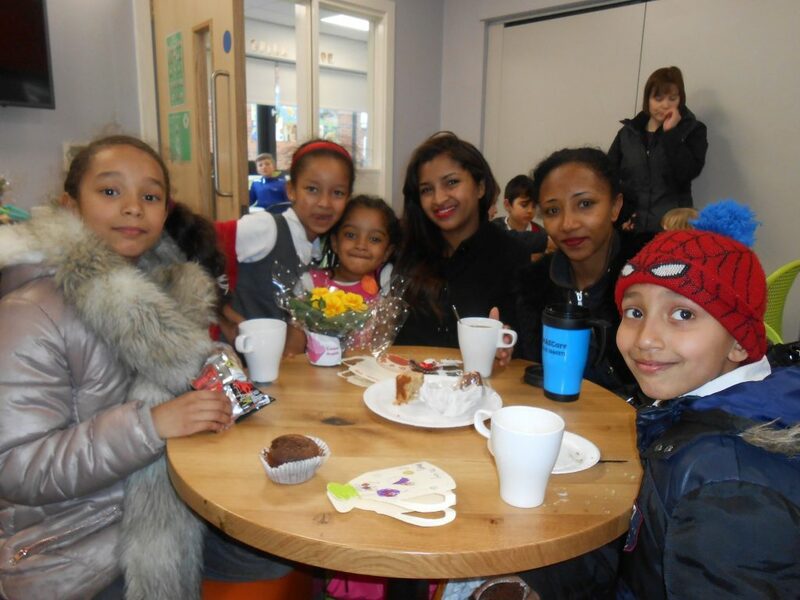 A big thank you to Friends who organised and ran the café this afternoon. 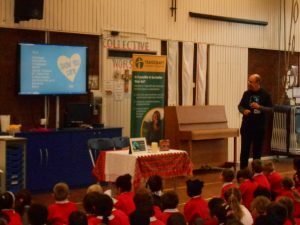 This morning Roger, from The Beehive (a community Fairtrade shop based in Chapel Allerton) visited school and talked about what Fairtrade means and how we can help make a difference. 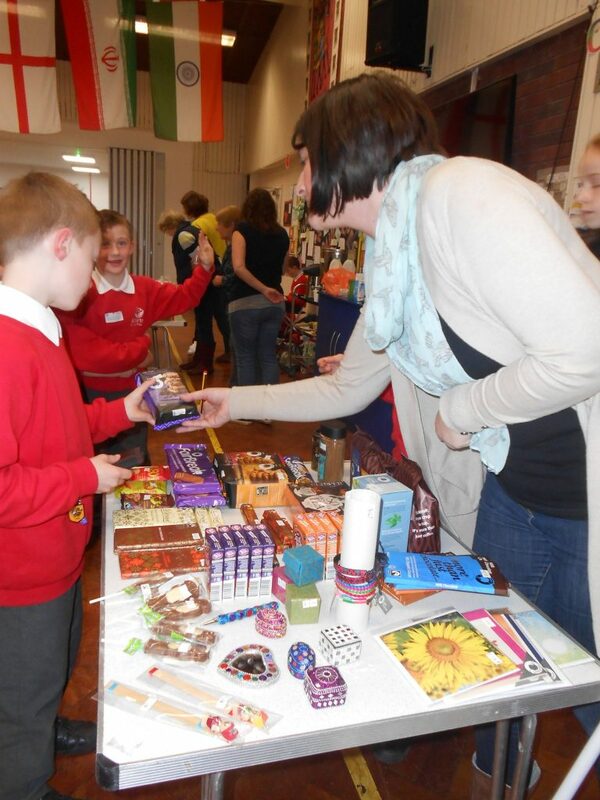 We will be selling Fairtrade products (on behalf of The Beehive) after school on selected dates. 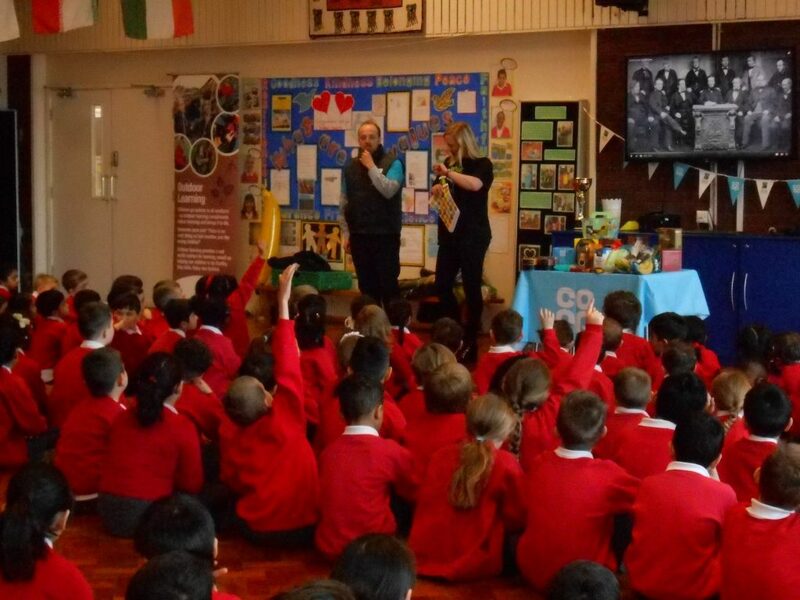 Fairtrade Fortnight is nearly here! 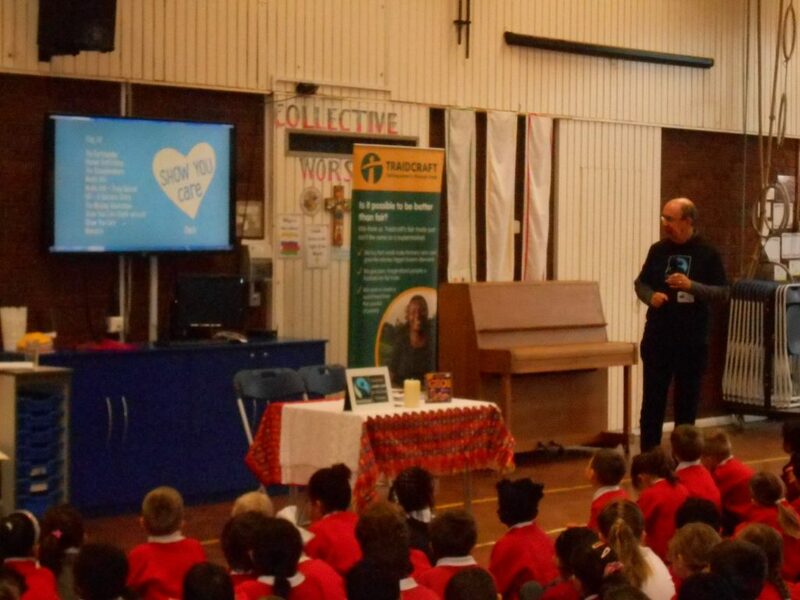 It is Fairtrade Fortnight on Monday 27th February – Sunday 12th March. 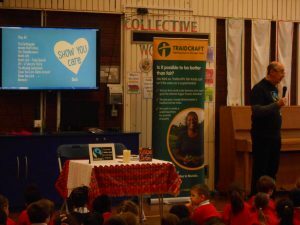 We will be learning about what Fairtrade means and how we can help.